Build your photography workflow around ACDSee Pro 5. See why its flexible cataloging capabilities, viewing speed, powerful RAW processing and advanced editing tools make ADCSee Pro the choice of photographers worldwide. 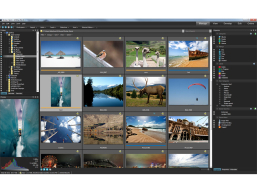 Add vastly improved RAW processing, a full set of metadata tools, patented LCE single exposure HDR technology, and viewing speed, and you have a fully integrated photography editing and management solution. ACDSee Pro 5 accelerates your workflow and quickly gets you back to doing what you do best: shooting amazing photographs.